‘Flying Sikh’ Milkha Singh today exhorted Indian youth to take inspiration from his story and win an Olympic medal in athletics in his lifetime. “I failed to win a medal in 1960 Rome Olympics and it hurts me till today. More than half a century has passed since then but no Indian has been able to win an Olympic medal in athletics,” rued Milkha Singh today. “It is my last wish to see an Olympic medal around an Indian athletes’ neck on the podium at the Olympic Games,” he said. Milkha expressed his fervent wish at a felicitation ceremony of sportspersons and coaches organised by the Pune International Sports Expo on the concluding day of the event. “I have last run a competitive race almost 50 years ago, but since then over these years no Milkha has risen from this vast country. I specially came to Pune because it is here that I spent my 6-7 years of training days when I joined the Indian Army and this city has given me a lot,” said Milkha in his address. His story is well documented in book and the film that became a blockbuster, but what many do not know is that it was his son, international golfer Jeev Milkha Singh, who was instrumental in persuading him to give his story to Rakeysh Omprakash Mehra for a princely royalty of Re 1. “My son insisted that I give my story to Omprakash Mehra, the maker of another Bollywood hit ‘Rang de Basanti’, when there were two or three more directors wanting to pay more than a Rs 1 crore for royalty,” Milkha said. 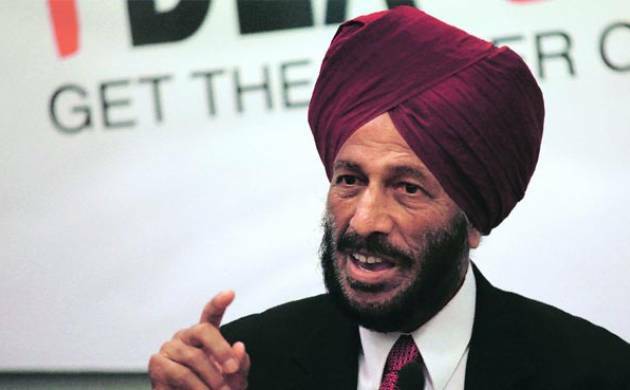 Referring to the sportspersons of this generation who expect fast results, Milkha advised them from falling for performance enhancing drugs to achieve the goals. “There are sportspersons who want to achieve something in two days what one can do naturally in four months. They take drugs and then they get caught and that brings blight to our country. This is unpardonable,” said Milkha. He went on to narrate his story of how he became what he is now and the contribution of Pakistan in making him ‘Flying Sikh’. “What I did then is always possible now, but someone has to get up and start running to achieve the goals,” he said.